My thanks to Sunny of Straits Pen for the ink sample. 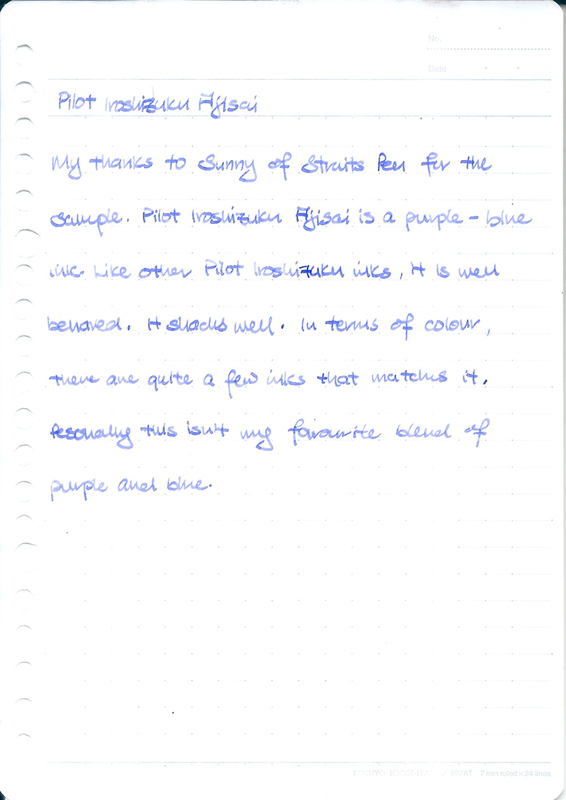 Pilot Iroshizuku Ajisai is a purple - blue ink. 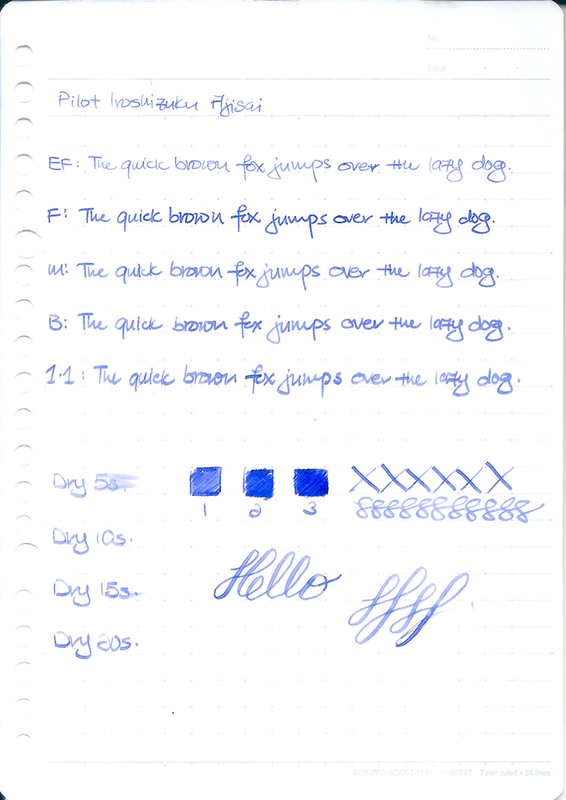 Like other Pilot Iroshizuku inks, it is well behaved. It shades well. In terms of colour, there are quite a few inks that matches it. Personally, this isn’t my favourite blend of purple and blue.